Does Donatello Have The X Factor? Judge For Yourself! 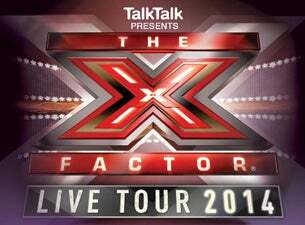 The X Factor Live Tour 2014 is set to land in Brighton next week for 3 dates at the Brighton Centre and we couldn’t be more excited here at Brighton’s best Italian restaurant. Top 8 finalists, Abi Alton, Hannah Barrett, Luke Friend, Nicholas McDonald, Rough Copy, Sam Bailey, Sam Callahan and Tamera Foster begin a 3 night run on Monday 17th March with Brighton and Hove residents clamouring to get a glimpse of the new stars in waiting as they perform classic songs and a selection of viewers favourites from the ITV series. If you’re heading out to watch the show, why not make a real night of it by heading to Brighton’s premier Italian restaurant, Donatello, for a bite to eat before the show? Serving delicious, hearty, home-cooked Italian food from our beautifully appointed restaurant on Brighton Place in The Lanes, we guarantee your evening will be off to a great start. We serve all the familiar Italian classics you know and love, cooked to perfection by our talented team of Italian chefs. With a range of deals and special offers including our famous 2-course, set menu special for just £7.25, value for money and warm, friendly service is assured. Our large ristorante has seats for 400, so we can accommodate all parties, large and small for any occasion. If you prefer to book in advance, you can do so by clicking here, or by calling us on (01273) 775477.